Nickelodeon, one of the world’s leading recognized entertainment brands for kids and families, today announced the first-ever global SpongeBob SquarePants-inspired short film competition, SpongeBob SquareShorts: Original Fan Tributes. SpongeBob fans and filmmakers of all ages from around the world are invited to create original, SpongeBob-inspired short films for a chance to win a cash prize and trip for four people to a screening event in Hollywood, California. To view the SpongeBob SquareShorts promo, click here. 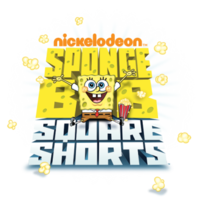 NEW YORK – May 7, 2013 – Nickelodeon, one of the world’s leading recognized entertainment brands for kids and families, today announced the first-ever global SpongeBob SquarePants-inspired short film competition, SpongeBob SquareShorts: Original Fan Tributes. SpongeBob fans and filmmakers of all ages from around the world are invited to create original, SpongeBob-inspired short films for a chance to win a cash prize and trip for four people to a screening event in Hollywood, California. The call for entries opens today and will run through Friday, June 28. Entries can be submitted in two categories (under 18 years of age, and 18 and over) to www.SpongeBobSquareShorts.com. Films submitted to the SpongeBob SquareShorts: Original Fan Tributes competition should be themed around SpongeBob, his world and/or his friends, while celebrating his endearing attributes: humor, overflowing happiness and persistent positivity. The short films can be live-action, animation, stop-motion, etc. and should run no longer than three (3) minutes. Videos will be judged on originality & creativity, incorporation of SpongeBob’s attributes, and overall appeal. Following the entry period, finalists will be selected by a panel of judges, and the top 10 in each of the two categories will be announced on Thursday, July 18 as finalists. From July 18 through Friday, August 2, fans will have the chance to vote for their favorite of the finalists at www.SpongeBobSquareShorts.com. The winner from each category will be announced in August. For additional details on the submission process and official rules, please visit www.SpongeBobSquareShorts.com. SpongeBob SquarePants is a world-renowned and beloved character-driven cartoon that chronicles the nautical and sometimes nonsensical adventures of SpongeBob, an incurably optimistic and earnest sea sponge, and his undersea friends. The series is seen in more than 170 countries and territories and in more than 35+ languages. The series consistently ranks as the #1 program in its time slot vs. all other kids’ channels in Brazil, Canada, Spain, Hungary, Mexico, and the Netherland, and is a top 10 program on Nickelodeon in markets including the UK, Russia, Australia, Germany and Italy. It is the most widely distributed property in Viacom Media Networks history. SpongeBob SquarePants is executive produced by creator Stephen Hillenburg, who previously worked as a writer, director and creative director on Nickelodeon’s animated series Rocko’s Modern Life. Paul Tibbitt served as a director and writer on SpongeBob SquarePants for its first three seasons and is currently executive producer. The series is a Nicktoons Production and is produced at the Nickelodeon Animation Studios in Burbank, California.